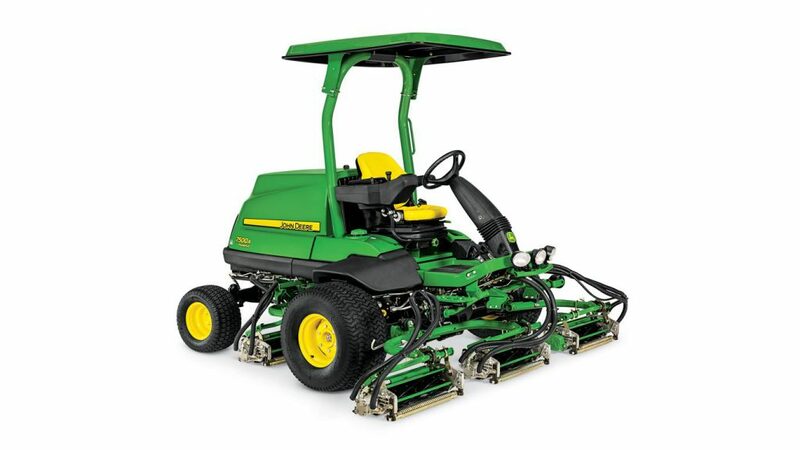 If you’re in the market for a fairway mower that can take on a long day’s work, the John Deere 7500A is one option you may want to consider. This mower comes with AutoPedal™ to reduce fuel consumption and has a TechControl™ Display to lock in performance and uptime. Let’s learn more about the highlights of the John Deere 7500A and how it can make your job easier. With the electric reel drive system on the John Deere 7500A, operators don’t have to worry about hydraulic leaks in the reel hydraulic circuit. All hydraulics have been removed from the cutting unit drive circuit within the machine. This reduces downtime and enhances productivity. All of the service points on the John Deere 7500A are conveniently located and easy to access. This means that at the end of the day, operators can spend less time on routine maintenance to keep the machine running smoothly. The eHydro traction pump and wheel motors of the John Deere 7500A are specially designed to tackle a wide range of course conditions. The pedal effort has been reduced as well, making it easier on operators during the long work day. The AutoPedal system means that the engine only has to run as fast as needed, making transporting quieter and reducing overall fuel consumption. The tires of the John Deere 7500A are sized for proper weight distribution and a low ground pressure. They also use a turf tread to maximize turf friendliness. Low ground pressure means less tracking, less marking, and less compacting, allowing operators to achieve the look they want on the course. The GRIP All-Wheel Drive Traction System is always engaged when driving forward. It helps reduce wheel slip by sending flow from the front wheel to the opposite rear wheel. Furthermore, there are no electronics to engage with the 4WD drive system. With TechControl, operators can quickly set or change their mowing speed, turning speed, or transport speed to adjust to changing conditions. TechControl has onboard visual diagnostics that are specifically designed to maximize uptime. Operators can easily see the inputs and outputs of the electrical system. If you have any questions about the John Deere 7500A or its features, you can contact your local John Deere dealer.